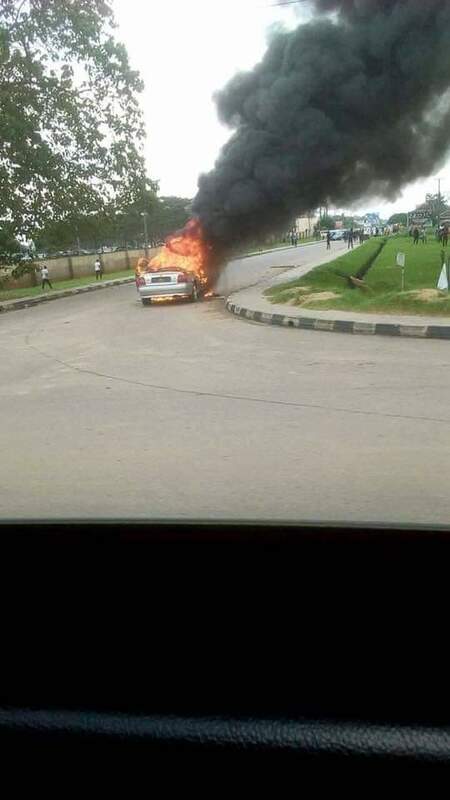 The drama at the Akwa Ibom House of Assembly took a strange turn when a young man drove this car to the entrance of the complex, stepped down, set the vehicle on fire and fled. However, he was arrested by the police and interrogated. Recall that five lawmakers loyal to APC, whose seats were earlier declared vacant, rose on Tuesday, assumed their seats and started an impeachment process against the state Govermor, Udom Emmanuel. Immediately Gov. 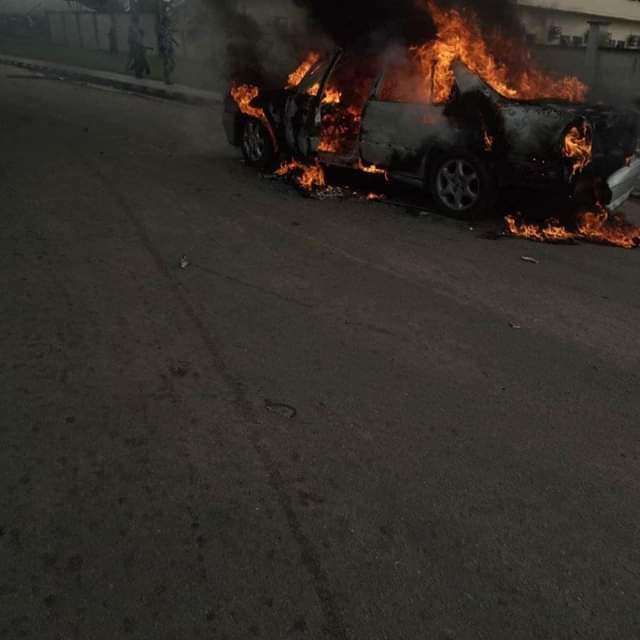 Emmanuel entered the premises, gunshots were fired by those described by eyewitnesses as security operatives and thugs who were around the premises. According to the reports, the newly acclaimed speaker, Mr Nse Ntuen, who had earlier sat with four other lawmakers, was also harassed by security personnel in the assembly premises. 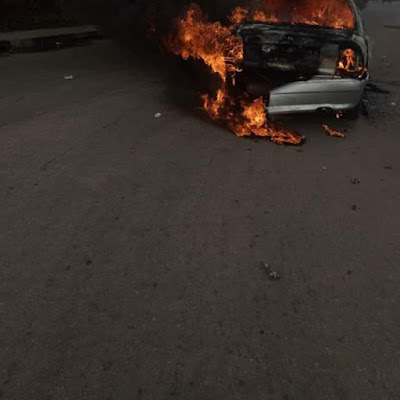 Ntuen’s vehicle was said to have been damaged while he escaped a mob action by some persons believed to be Peoples Democratic Party (PDP) members. 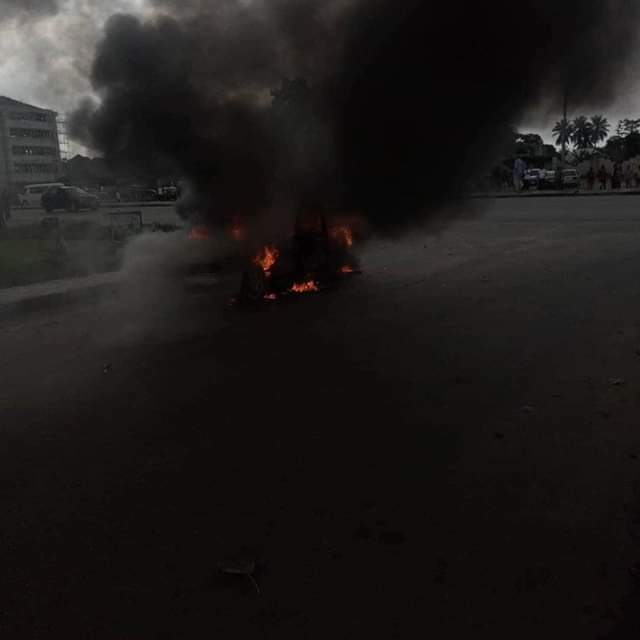 Trouble started in the house last week when the Speaker, Onofiok Luke, declared vacant, the seats of the five lawmakers who defected from the PDP to the All Progressive Congress (APC).